With this tool, you can move the current layer or selection by dragging the mouse. All content on all layers will move. Depending on the number of layers this might result in slow and, sometimes, jerky movements. Use this option sparingly or only when necessary. This allows you to set how much, and in which units, the &larr;, &uarr;, &rarr; and &darr; actions will move the layer. Allows you to multiply the movement of the Shortcut Move Distance when pressing Shift before pressing a direction key. 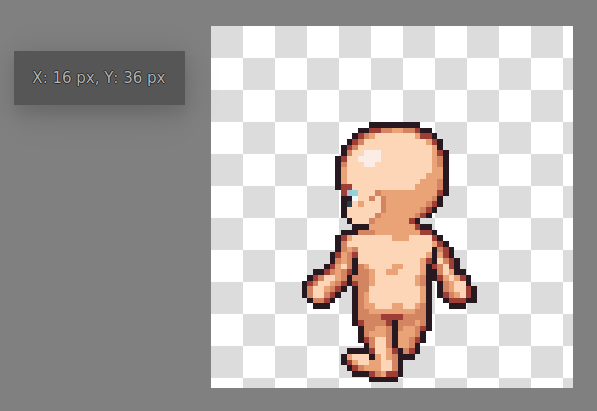 When toggled will show the coordinates of the top-left pixel of the moved layer in a floating window. Gives the top-left coordinate of the layer, can also be manually edited.